Copyrighted by Lorna Tedder. Originally published in Third Degree Burn. “That’s classified,” my least favorite astrophysicist told me over crossed arms several years ago. I reminded him, over crossed arms (mine), that I had the same clearances he did. But I didn’t know what he was doing, I reminded him. That was the point. He wanted me to take the responsibility for spending a solid $15M of taxpayer dollars without ever knowing what it was for. And he tended to play by his own rules and his own idea of what was legal. His worst habit, which I’d always put a stop to, was trying to hide behind so-called security veils to do whatever the hell he wanted. Yeah, that would play really well on 60 Minutes. I’d had other scientists and engineers ask me to support them, to believe in them and what they were doing, sight un- seen, and I’d done it. But with this guy, it was different. He had a bad track record with me. Only a month before, I’d caught him in a lie, and his response had been that he didn’t think someone with a background in liberal arts was smart enough to know he was lying. Yeah, Mr. Brainiac actually said that. In the end, I turned him down and I never worked with him again after that. He couldn’t—or wouldn’t—give me the answers I needed. No one ever signed off on his plan of action and it never happened. But with blinders on, I couldn’t agree to what he wanted. In my day job, the need-to-know is determined by people far above my pay grade. But sometimes, when I have to put my future on the line, I get to determine it myself. In my private life, I have a strong need to know. It’s my scarecrow, yes. Analysis. The need to know. To understand. To be able to plan. I can research. I can divine to my heart’s content. Often I’m given information without asking, and the information I’m given from mortal sources is often designed to mislead me, to play on my fears and long-standing expectation of disappointments. I get answers, but they’re answers I can’t stand. Too of- ten, they’re downright lies. They’re petty manipulations to keep me in my place or to keep me away from someone or to use my creative fires for their own purposes. And I’m really weary of it. I hate not knowing. It’s more than a want-to-know—it’s a gut-deep need-to-know. I don’t have to know everything about the future, but I need to know the present. I need to know where I am before I go forward in the wrong direction. I like to be sure of things, and I can never be completely sure. I just have to jump and hope that net appears sometime before the sudden stop. But that doesn’t make the not knowing any better. And to fill in the void of not knowing, there’s always someone with a theory or with “news” that will sting. The void of not-knowing is so wide sometimes, that it’s easy to want it to be filled, even with garbage. In his absence, I really miss those wild conversations with him. I wish I could talk to him about this now. He’d probably give me some kind of crazy-deep scientific/philosophical explanation in a mix of urban slang, Spanish, and 8-syllable words. I hate that he’s gone. But I understand his point. Sometimes instead of trying to figure everything out and puzzle it out, you just have to take the chance and ask the question if you want to see something happen, want to see it move from idea to reality. But sometimes the question doesn’t yield an answer I want to hear. Do You Love Yourself? Or Just Not Care Enough? 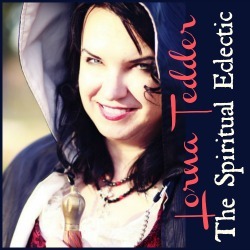 Lorna Tedder is the author of more than 20 books, both novels and non-fiction guides. Her many hats include writer, publisher, contract negotiator, mom, ordained minister, and life coach.